Nonprofit branding is an important topic to nonprofit directors and managers with nonprofits wanting to differentiate their services, images and reputations. Some organizations are spending substantial dollars to assess and build their brands. Most nonprofits with which I have had contact are not aware whether not all their employees and board directors are brand loyal to their nonprofit organization. 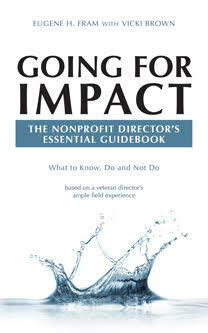 Many independent contributors (accountants, counselors, social workers, trade association executives, etc. ), who work for nonprofits, see their loyalties as being related to their professions not their employing organizations. About a decade ago, I co-authored several articles to explore the issue of employee brand loyalty with commercial firms. * I would like to review some of those finding to show that nonprofit management also constantly needs to assess whether or not employees and board directors are receiving positive brand messages related to the organization’s mission, vision and values. This should be the outcome of an internal marketing effort. The impact for internal marketing should be to enlist every employee and board director to become a brand champion for the nonprofit. “The results of (our study) indicate the two most prevalent perceptions relating to low employee … behavior were (a) a lack of pride in the product and (B) a sense that the product is unaffordable. “ … This suggests that managers need to determine the level of product pride in mission, vision and values when the term commercial term, “products,” is translated to nonprofits.” They must motivate employees to take pride by celebrating professional awards and reviewing honest client satisfaction data and case studies, especially those that show how the organization has contributed to individuals and society. In terms of affordability, the internal marketing effort needs to show how clients have benefited long term. This is typical of university internal marketing that focuses on successful graduates who have made societal contributions. This program is especially important where the university is not nationally known but has some special educational benefit to offer. “Internal marketing campaigns (often) may rely too much on appeals to employee loyalty or self-interest, thereby missing the opportunity to convert the more skeptical persons on the payroll. …These findings imply that employers need to, where possible,continually educate employees (and board directors) on the comparative advantages of their brands involving outcomes of mission, vision and values.” Comparisons of impacts of the local organization with those of others nationally can be helpful. For example, professional organizations often publish data that make interesting comparisons. “One way to deal (with the prestige) issue is to inform employees and board directors how the (nonprofit’s) standards compared to the (professional field) standards.” This can be done in two ways. One is to add the annual IRS 990 report to the organization’s website. Another approach is to issue a press release when the organization is re-accredited by an outside organization. At this time, when transparency is becoming increasingly important, management even might want to present a detailed debriefing on the report to the board and employees as a way to discuss and challenges and strengths. “Management needs to survey employees and board directors to fully understanding their perceptions of the organization’s mission, vision and values. Even having a few misconceptions circulating can be harmful to the brand.” For example one nonprofit recreational facility determined that several members of their board and their families were using a competitor’s facilities. In several instances, there was little they could do about it, but it is important to understand the reason and to try to reduce the negative impact on its brand image. On the other hand, substantial positive changes might occur with the proper internal marketing. •	*Eugene H. Fram & Michael S. McCarthy (2004), “What’s Not to Like? If employees aren’t buying your brand, it important to find why,” Marketing Management, July-August, pp. 36-40. Great insight into the “why” of internal brand marketing. Would like to see a follow up post on the “how to” of internal brand maketing. Greg: Thanks. Will put it on my list of topics to cover.